Posted 19th November 2018. Last updated 22nd November 2018. 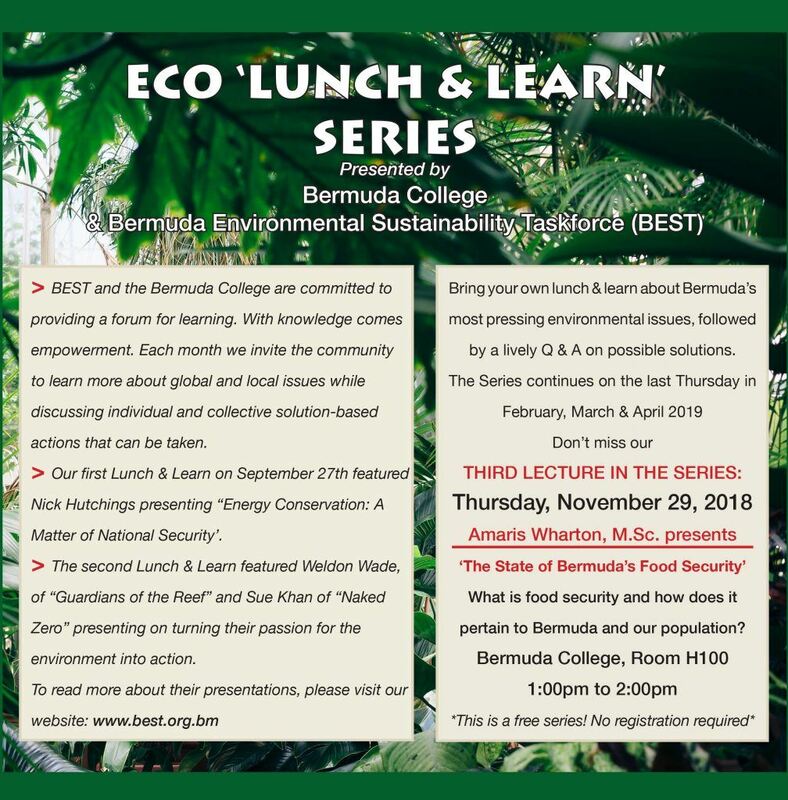 The Bermuda Environmental Sustainability Taskforce [BEST] and Bermuda College are getting set to hold the third presentation in their series of Eco Lunch & Learns on Thursday, November 29, with Amaris Wharton to speak at the event. A spokesperson said, “Amaris Wharton, a laboratory technician in the Plant Protection Department at the Department of Environment and Natural Resources, will be presenting on ‘The State of Bermuda’s Food Security’. Amaris will explain what food security is and how it pertains to Bermuda and its population.